In order accurately to model the response of your systems when subject to blast and/or impact loads, it is sometimes necessary to apply specialist analytical methods. Dynamic assessments can be undertaken using first principles or recognised software packages, depending on the complexity of the problem. 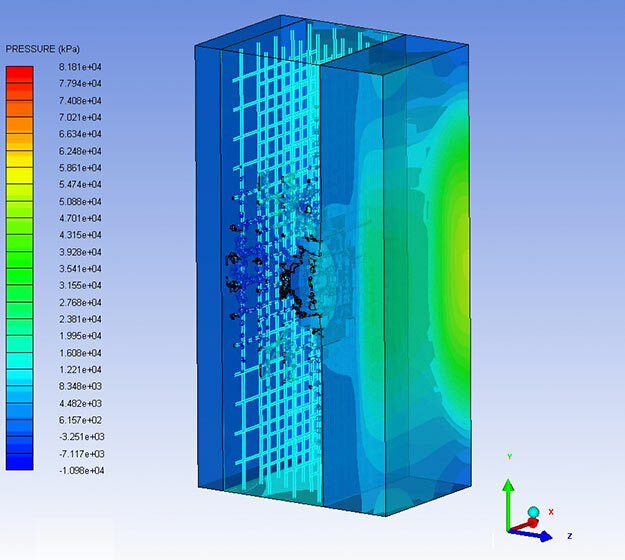 Generally single degree of freedom analyses will provide a suitable solution, however in some case it is more appropriate to apply Finite Element Analysis (FEA) techniques to model the response of steel, aluminium, concrete, glass and composite materials. We can also accurately determine blast parameters acting on your structures, streetscapes, or area of interest, using hydrocodes (such as Autodyn ™ or Air3D).